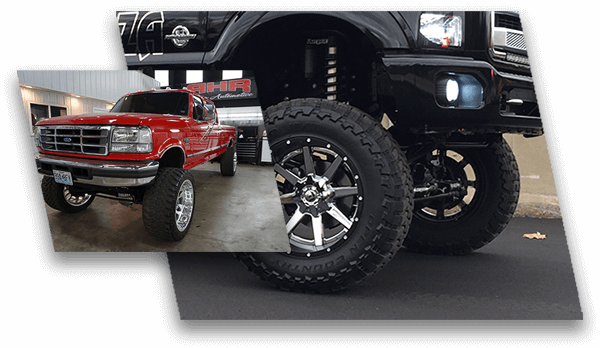 We're your trusted source for suspension modifications in southeast Missouri, having installed hundreds of lift kits and leveling kits made by the most respected brands including Rough Country, Super Lift, BDS Suspension, and FabTech (just to name a few). With a suspension lift kit installation from RHR, you can not only give your truck, jeep, or SUV a much more aggressive look, but also improved off road performance. And don't forget to do some tire shopping with those extra inches of clearance. "Awesome experience! Owner is nice and friendly. Worked with me and installed a 4-inch lift on my 02 Dodge Ram 1500. Quality work and prices are amazing."